The legal claim of Podemos (extreme left, pro-chavist and pro-iranian) to cancel the annulment of the boycott has been dismissed by the Courts of Justice thanks to the actions carried out by ACOM. The City Council of Gijón (thanks to the joint initiative of PSOE, Podemos and IU, and the abstention of Foro Asturias) approved in January 2016 an anti-Semite and discriminatory motion against Israeli interests and against Spanish citizens who sympathise with the Jewish State. 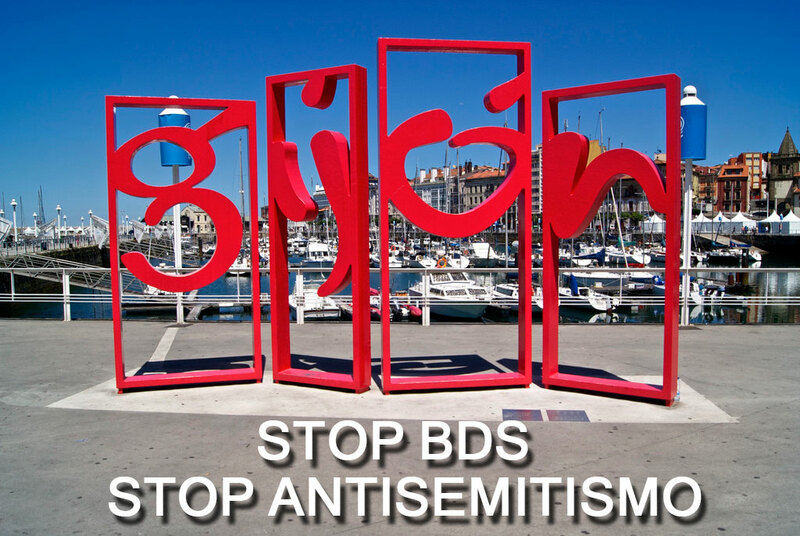 At that time, thanks to the legal action of ACOM to safeguard fundamental rights, as well as the group of political, social and media initiatives carried out by El Club de los Viernes against this abuse, the City Council approved a motion cancelling the boycott against Israel and the adhesion of the city of Gijón to the discriminatory BDS-ELAI movement. In this new judgement, the court evidences the cowardice of the council when originally proposing the boycott, trying to hide its responsibility with subterfuges and smoke screens. The final result is that the irresponsibility of the Mayor of Gijón, Carmen Moriyón, was evidenced after putting herself in the hands of the radical left financed by Iran to discriminate against the Israelis and the Spanish Jews in that city of our country, irredeemably damaging the international image of Gijón for a handful of votes that would keep her in office. And although the boycott has failed, the City Council keeps on financing this extremist and anti-Semite group, glorifiers of the Jihad that has made coercion and hatred a way of life financed with taxpayers’ money. But the rule of law triumphs over hatred in the Principality of Asturias, and despite irresponsible politicians such as Moriyón, neither in Gijón nor in other towns of Asturias, such as Avilés or Langreo can the Jewish minority be discriminated against.